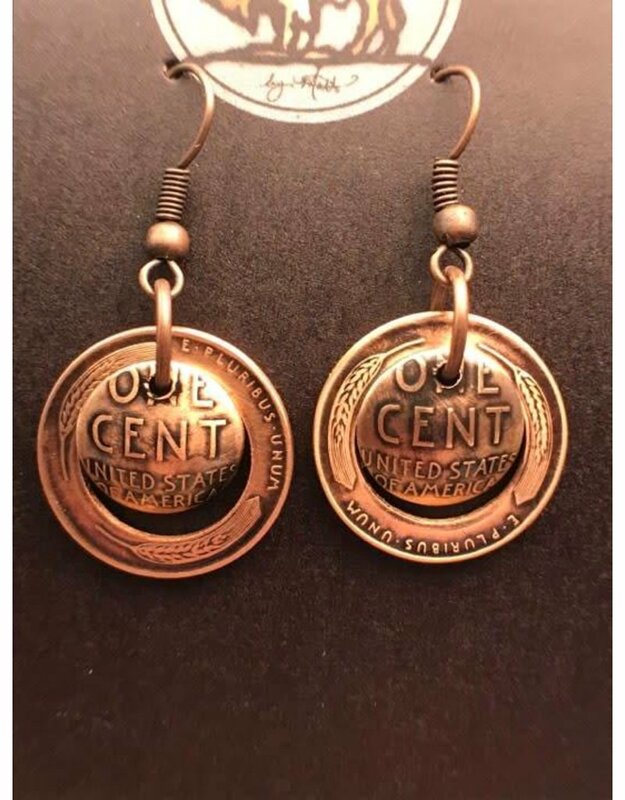 Handcrafted by an artisan here in Huntington, the USA Wheat Penny earrings are made of bronze (an alloy of copper made with tin) minted from 1864-1909. 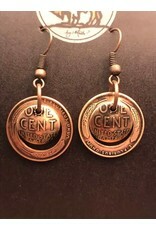 These are a beautiful piece of history for your ears. Wires are nickel free, antique-copper.